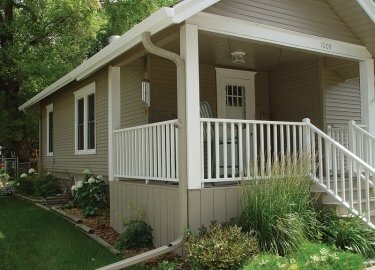 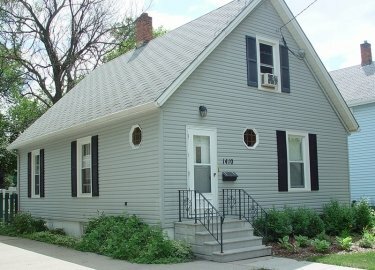 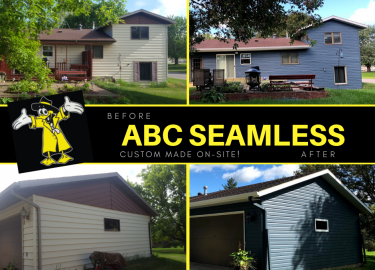 If you need new siding or other products installed on your home in St. 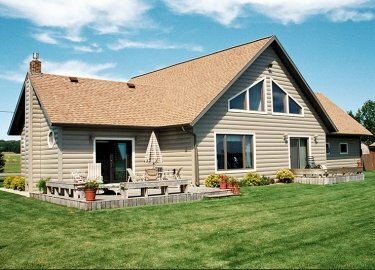 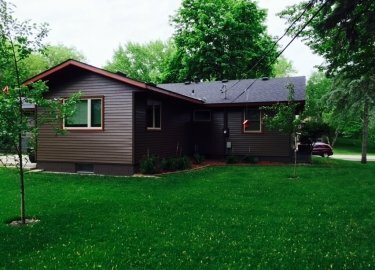 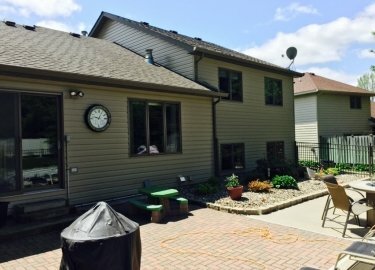 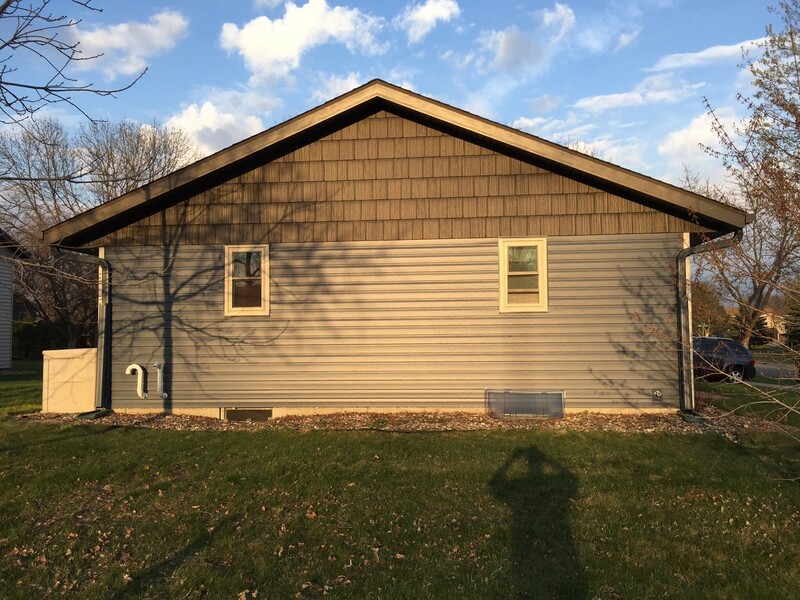 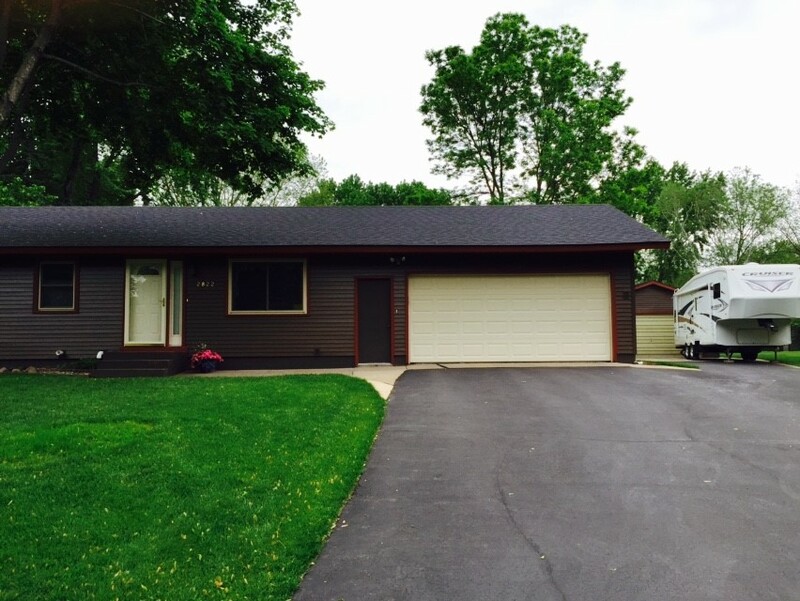 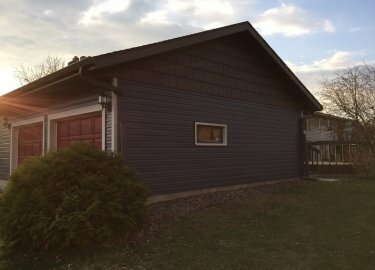 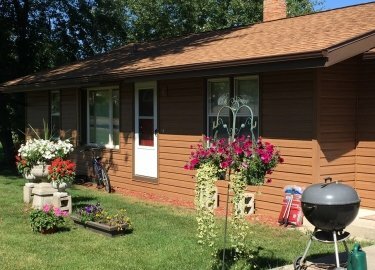 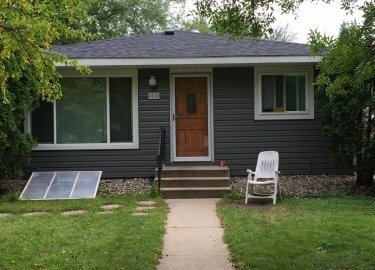 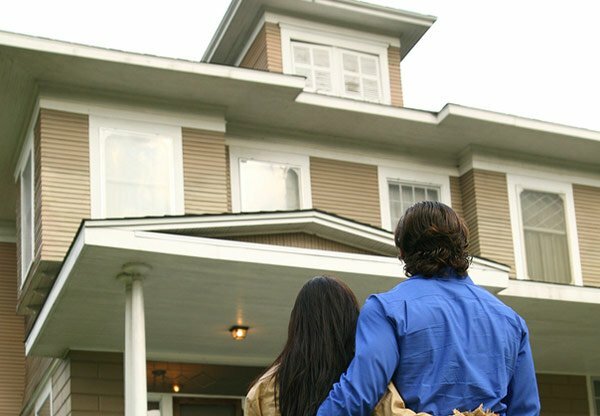 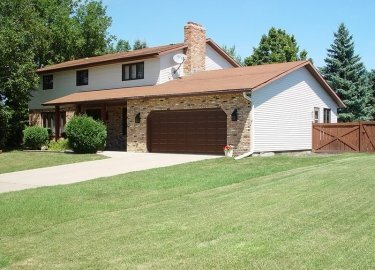 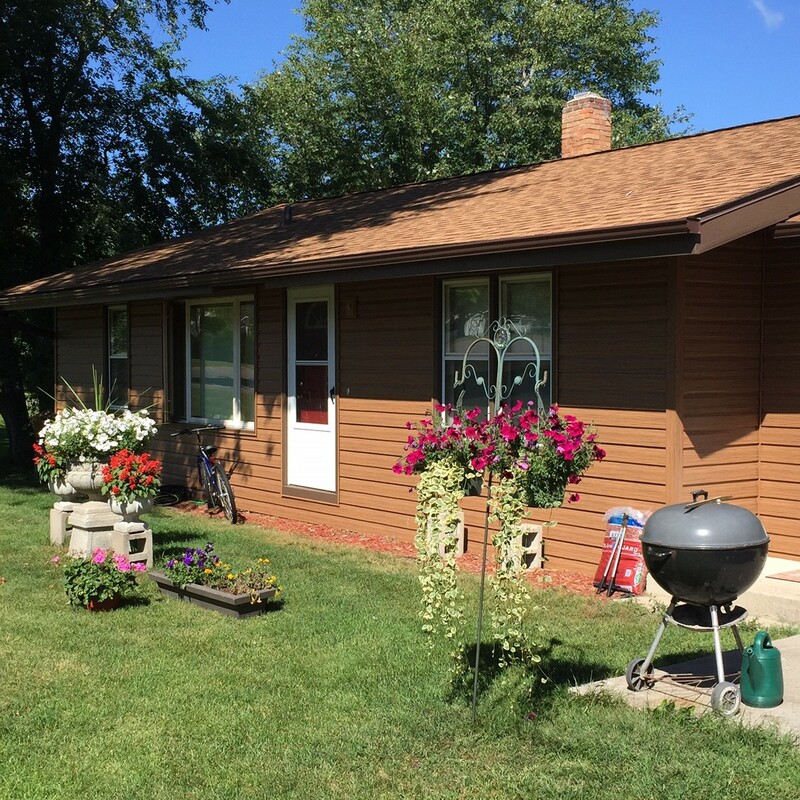 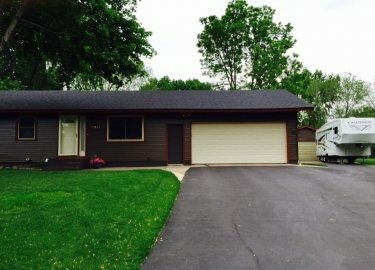 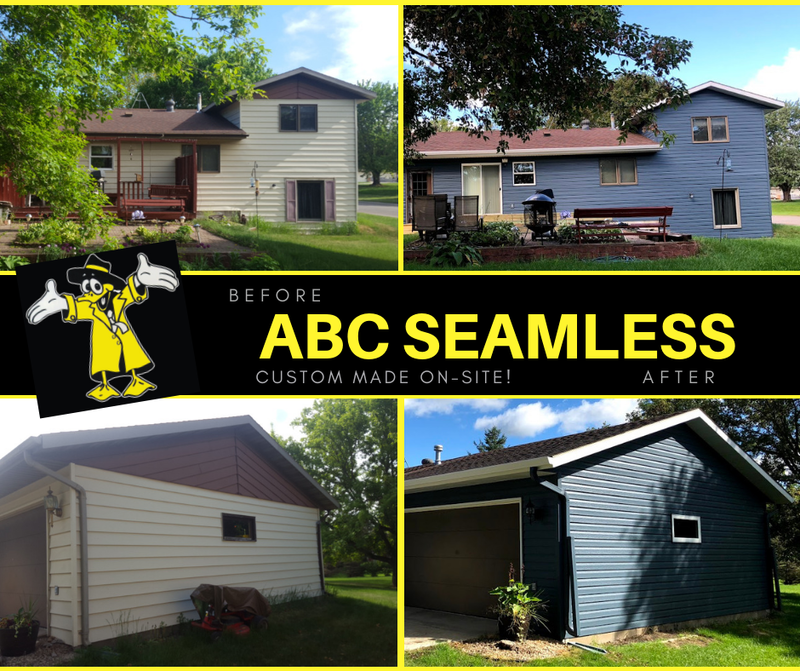 Cloud, Minnesota, there’s only one siding installation company that you can truly count on for all of your home improvement needs. 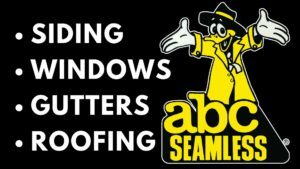 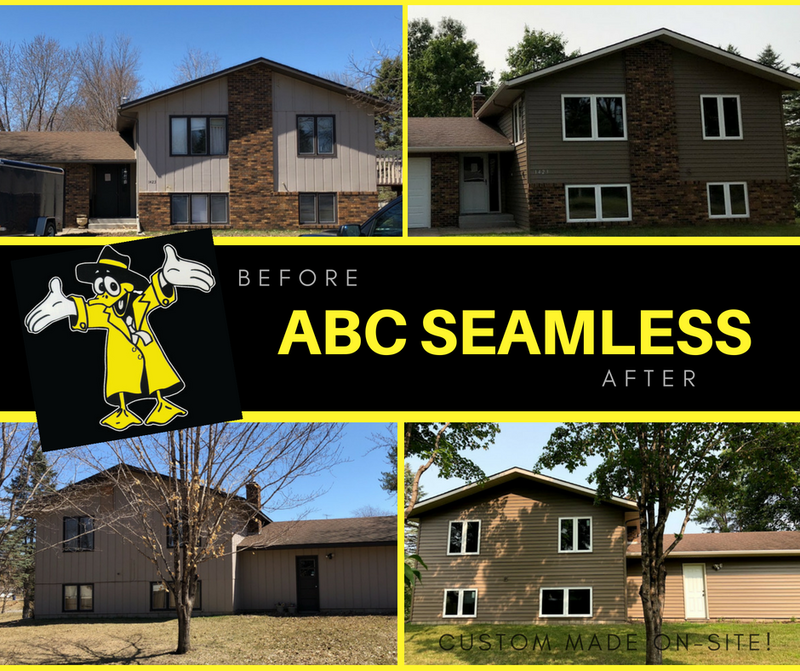 At ABC Seamless of St. 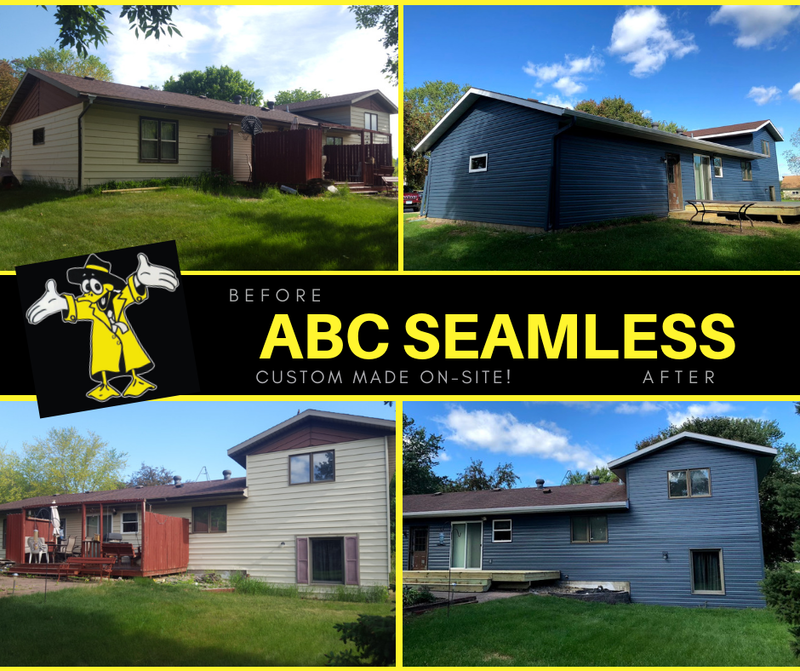 Cloud, our siding crews have been installing premium seamless siding for years, providing more meticulous workmanship and courteous service than other siding contractors in the area. All of our technicians are factory trained to masterfully install our steel siding, the best in the industry, with the utmost efficiency and attention to detail. 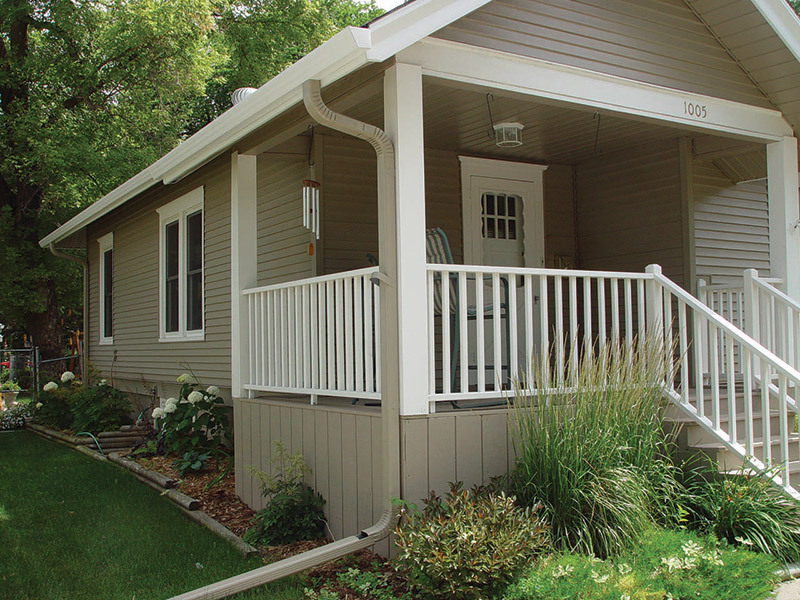 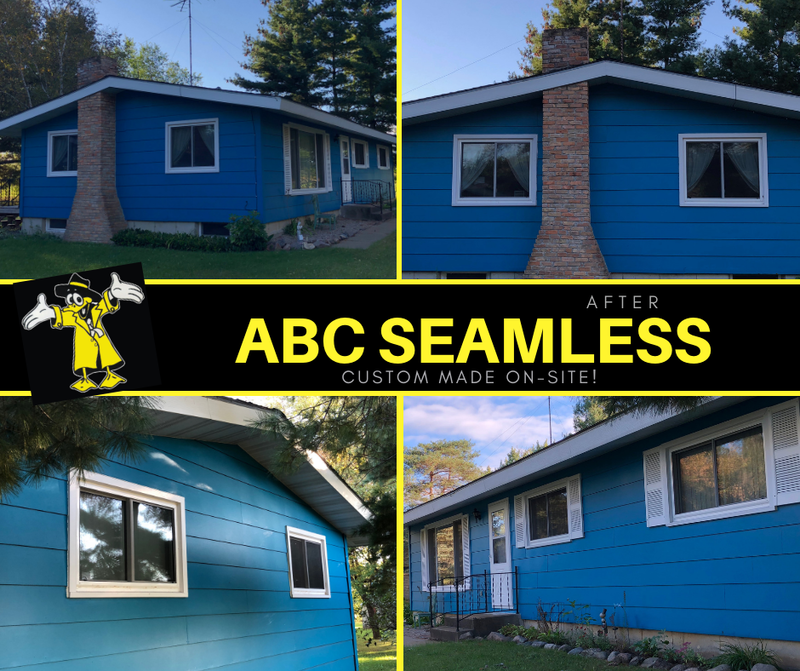 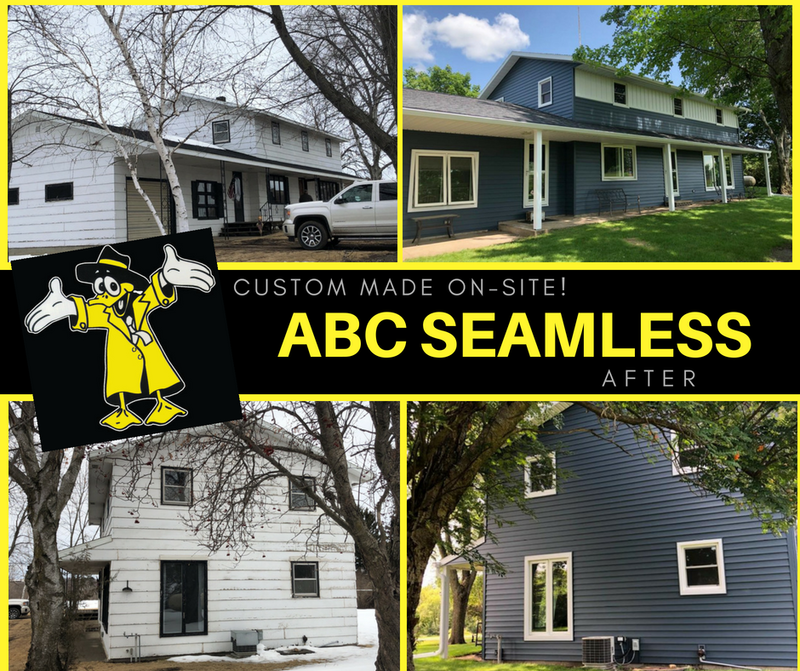 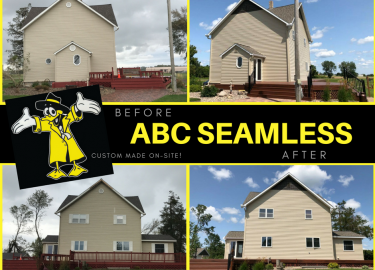 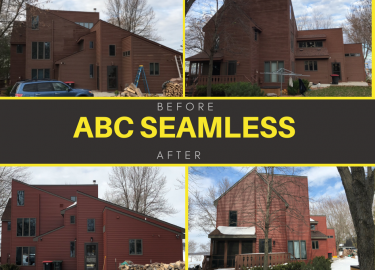 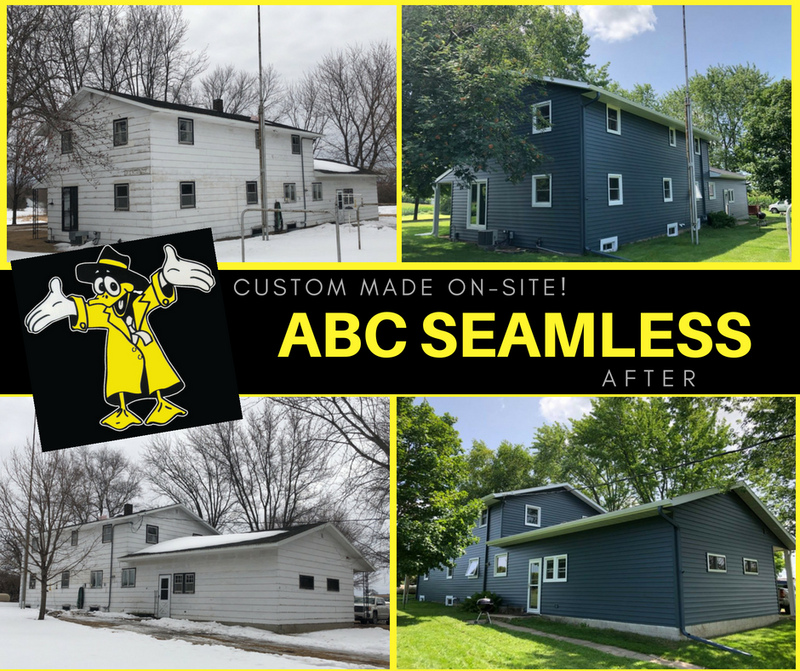 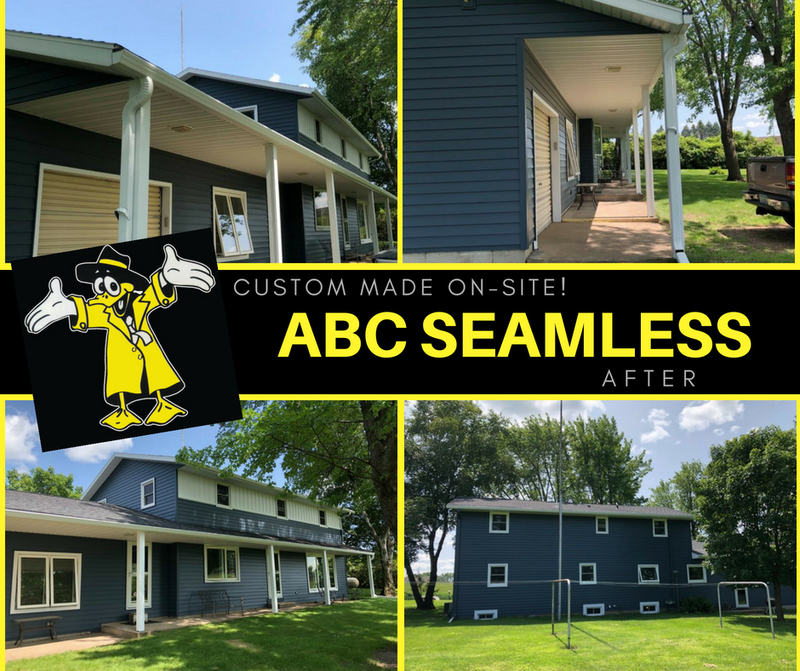 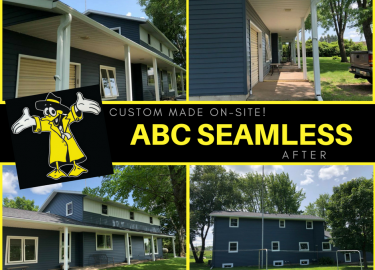 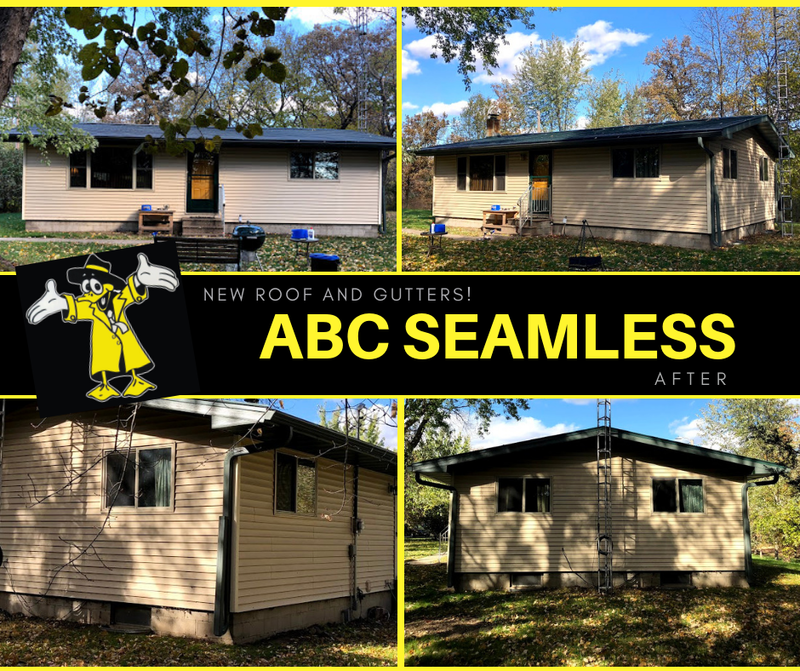 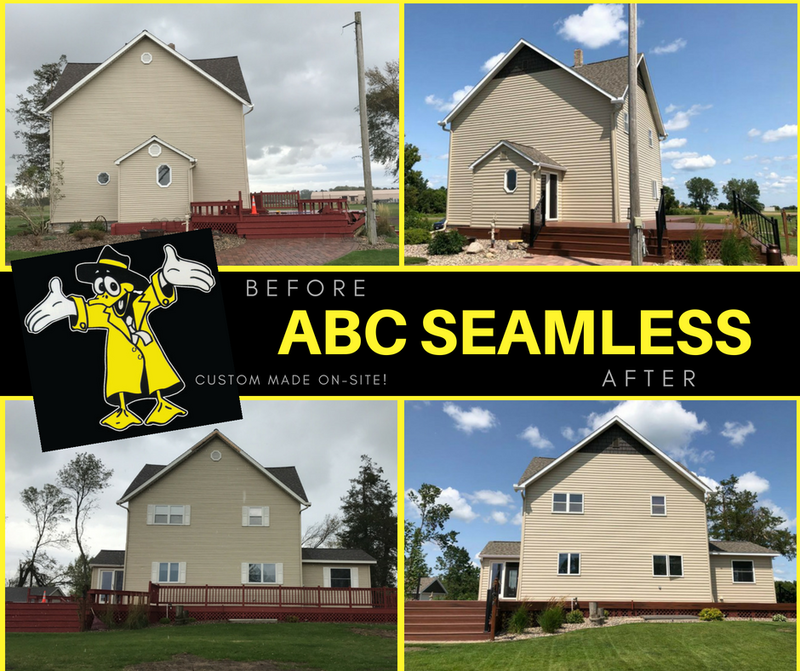 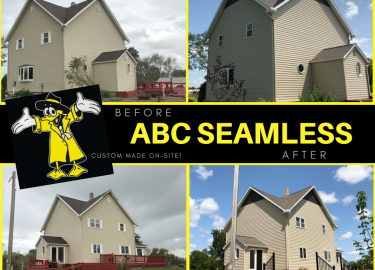 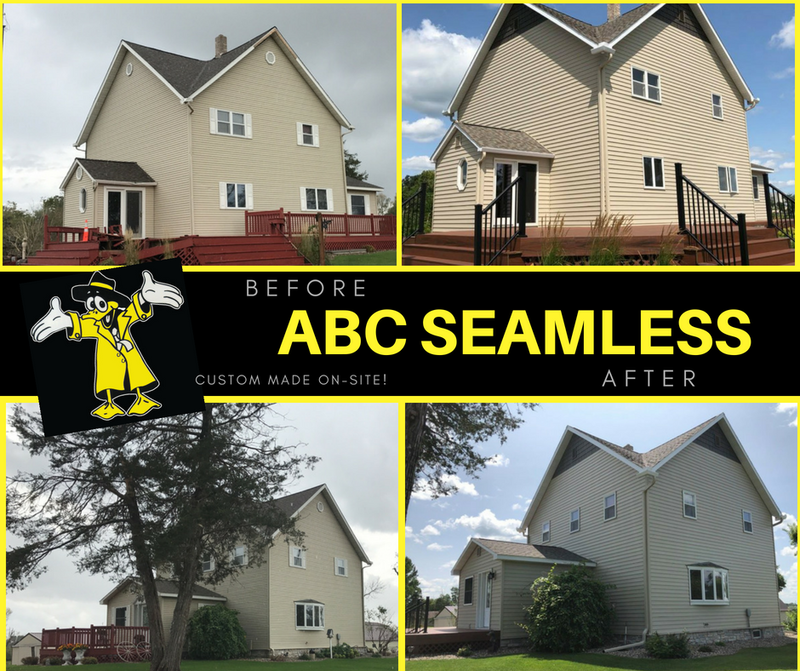 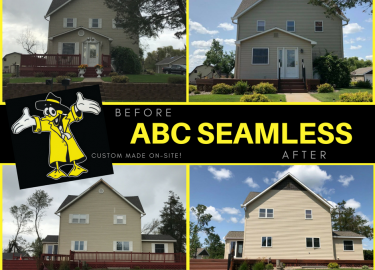 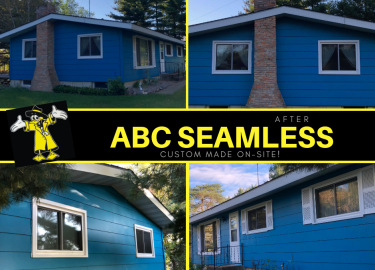 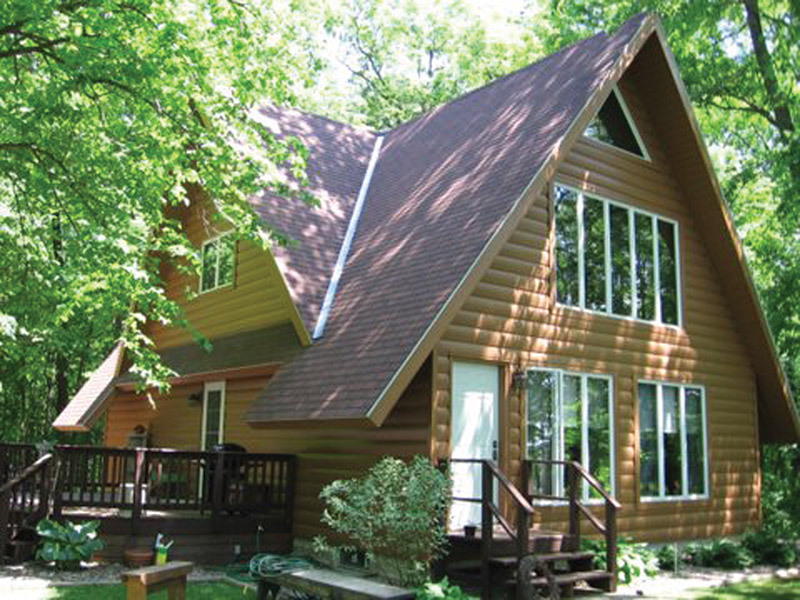 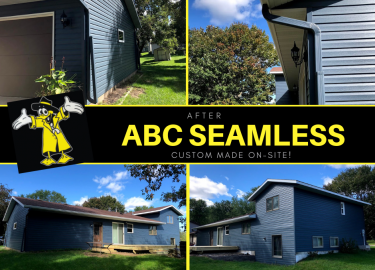 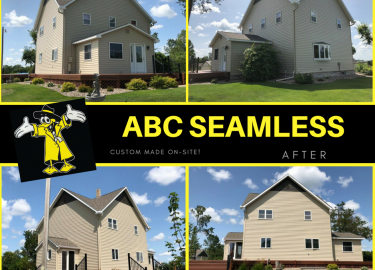 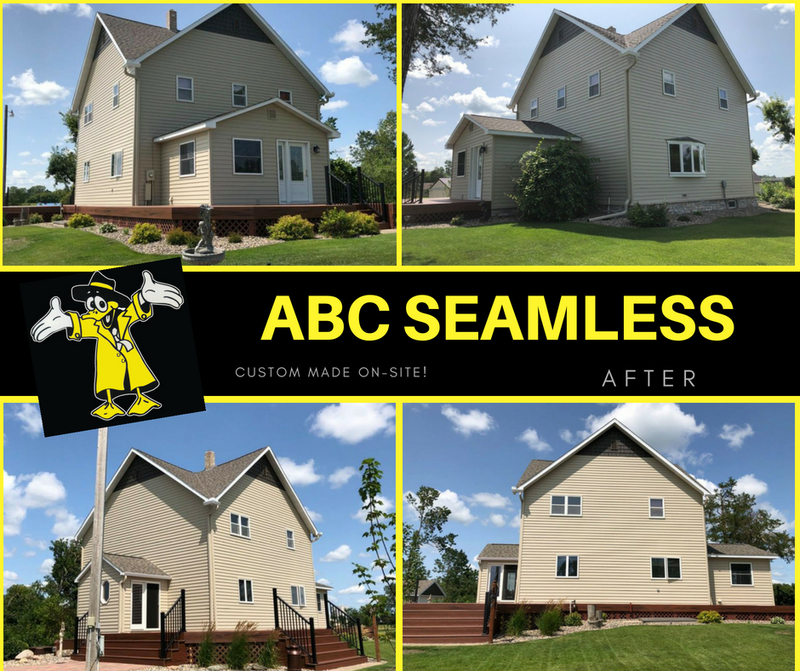 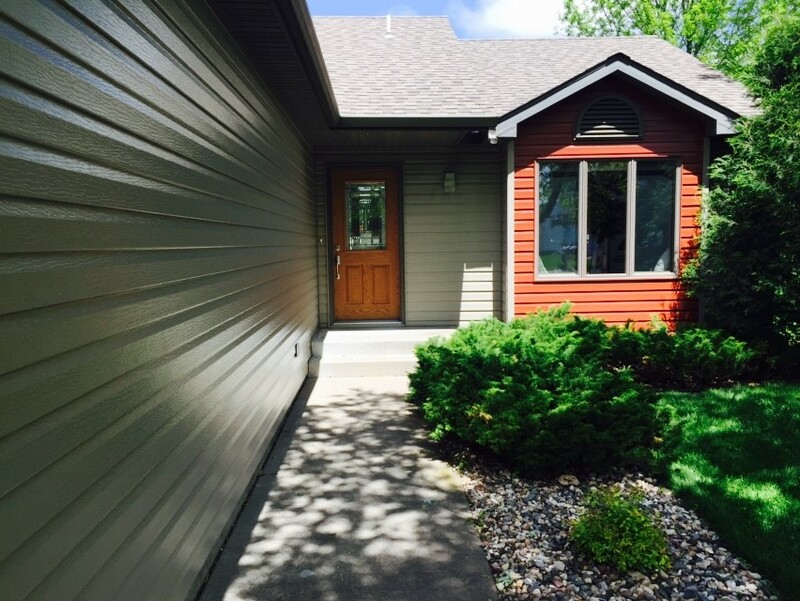 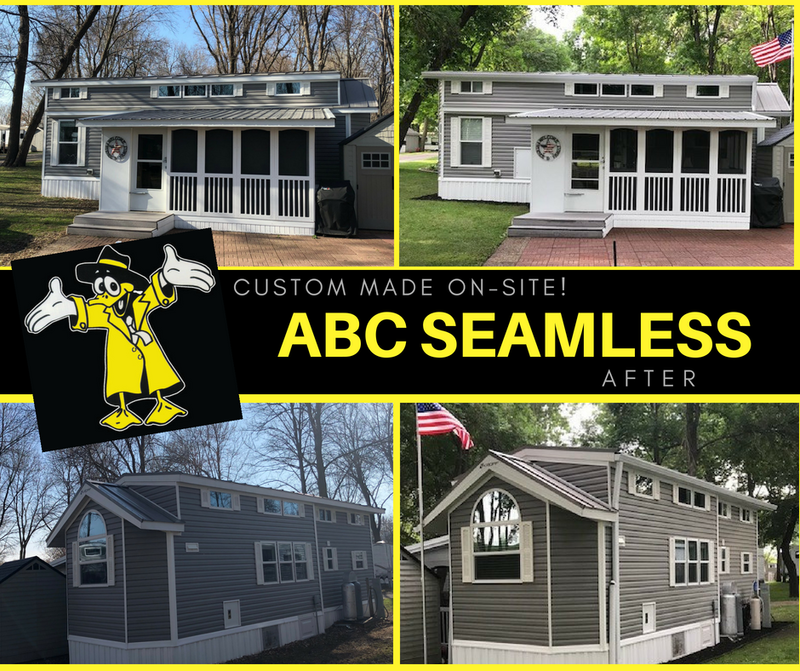 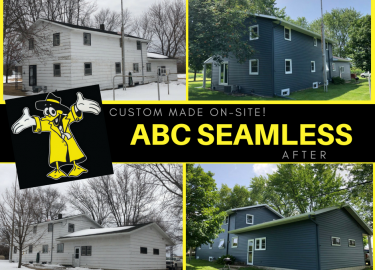 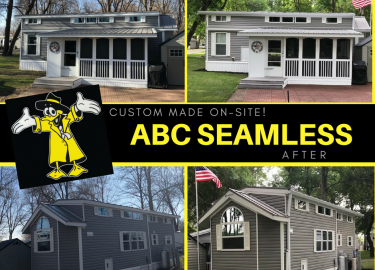 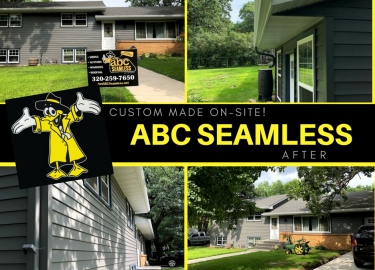 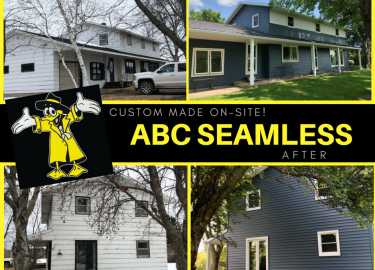 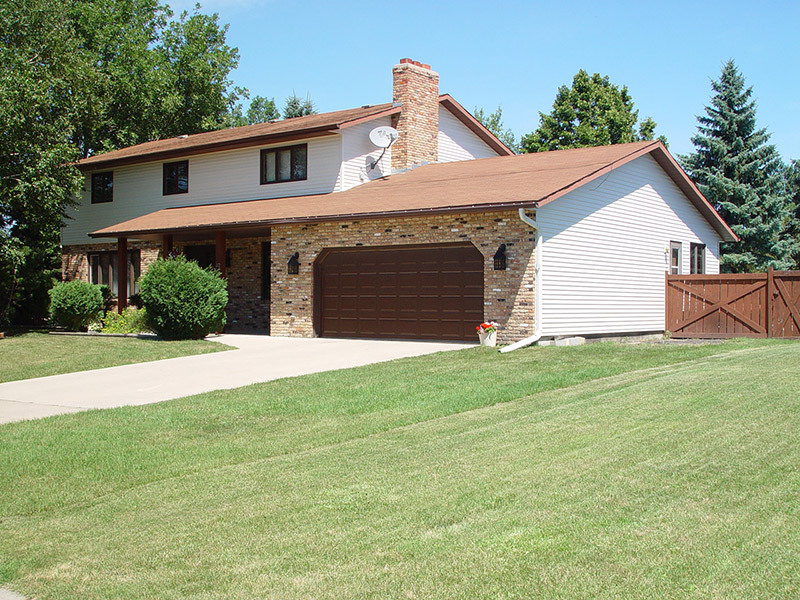 Our top-of-the-line ABC Seamless house siding is created from 28-gauge steel, making it some of the strongest and most durable siding on the market. 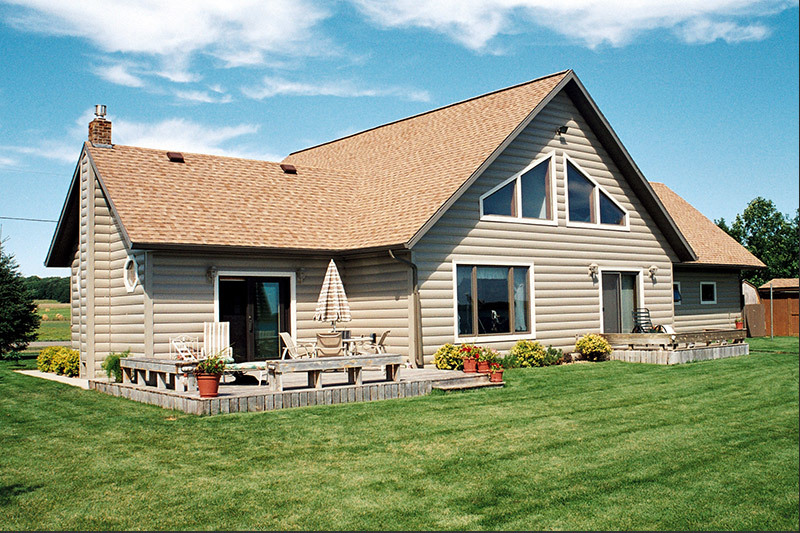 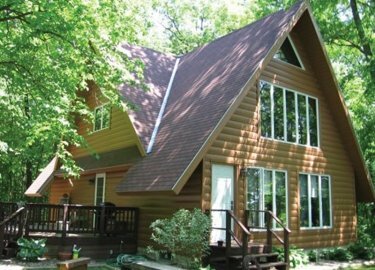 Plus, it is fire resistant, unlike many other siding products. 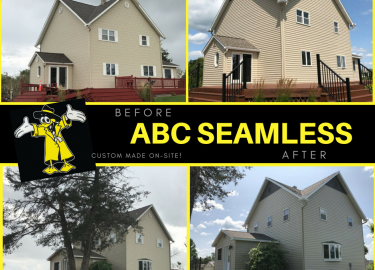 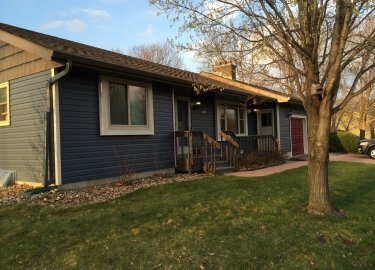 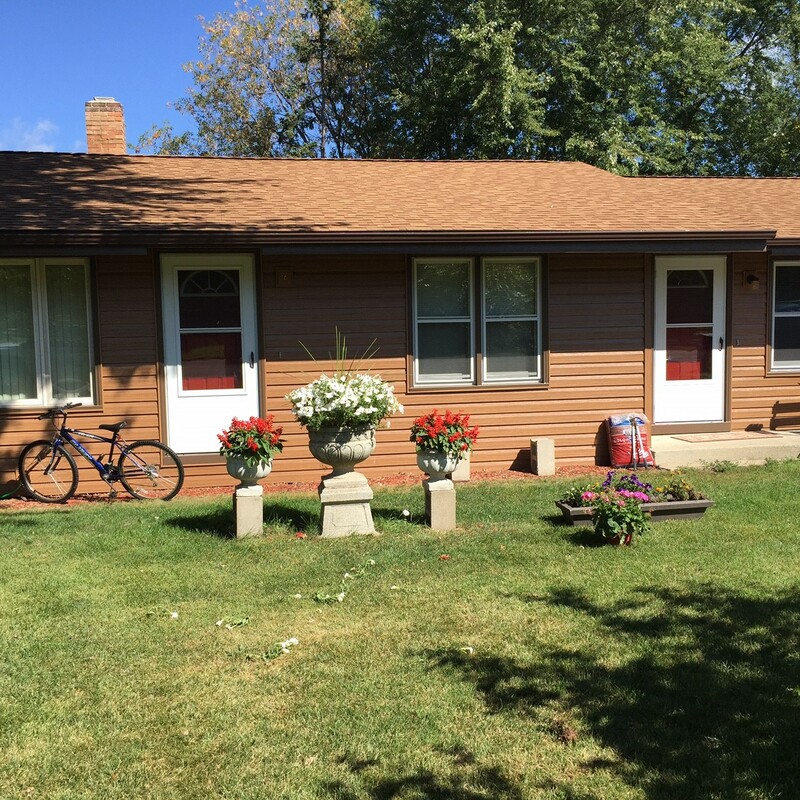 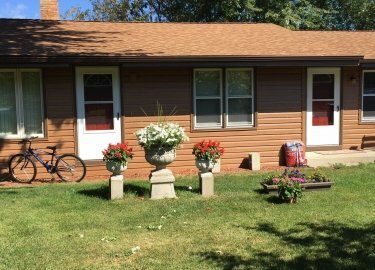 Our siding is also designed to be completely seamless, so it will provide your home with a beautiful appearance that isn’t interrupted by unsightly seams. 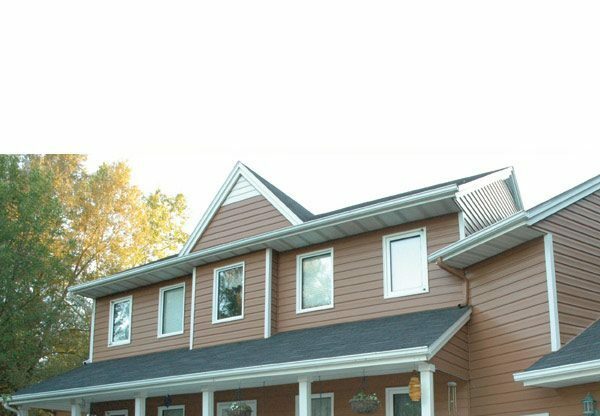 And, we give you the chance to choose siding to suit your aesthetic preferences and complement the appearance of your St. 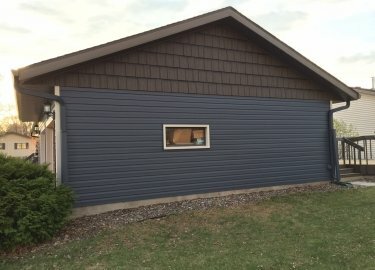 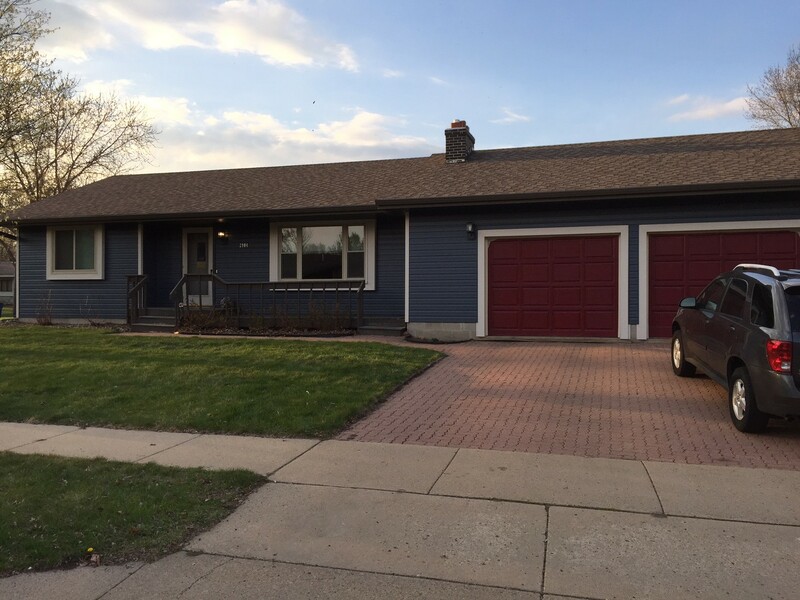 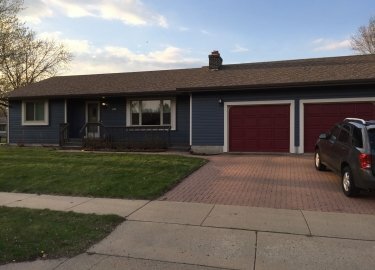 Cloud, MN, home, by offering two finishes – PVC and Duck-Matte – as well as a wide variety of attractive colors that won’t fade in the sunlight. 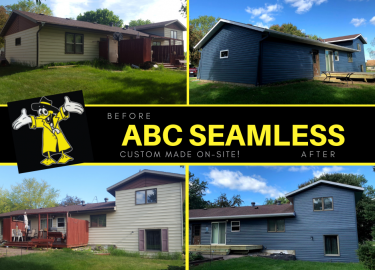 In fact, our siding’s resistance to fading, peeling, cracking, and other forms of damage from inclement weather makes it practically maintenance free. 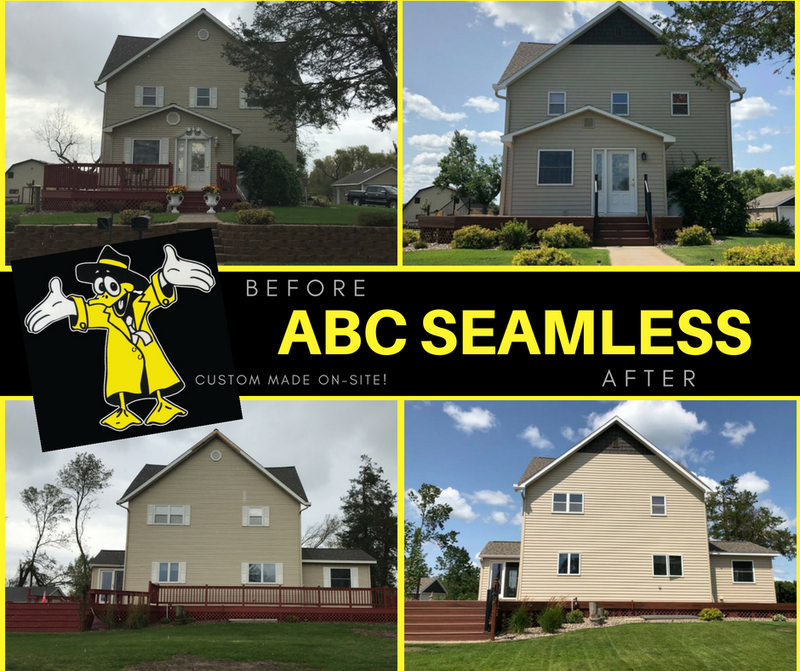 At ABC Seamless of St. 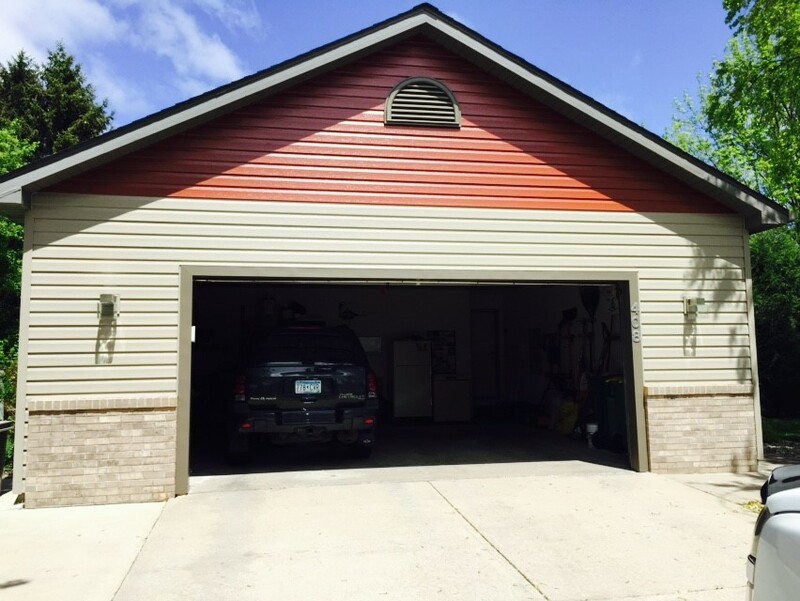 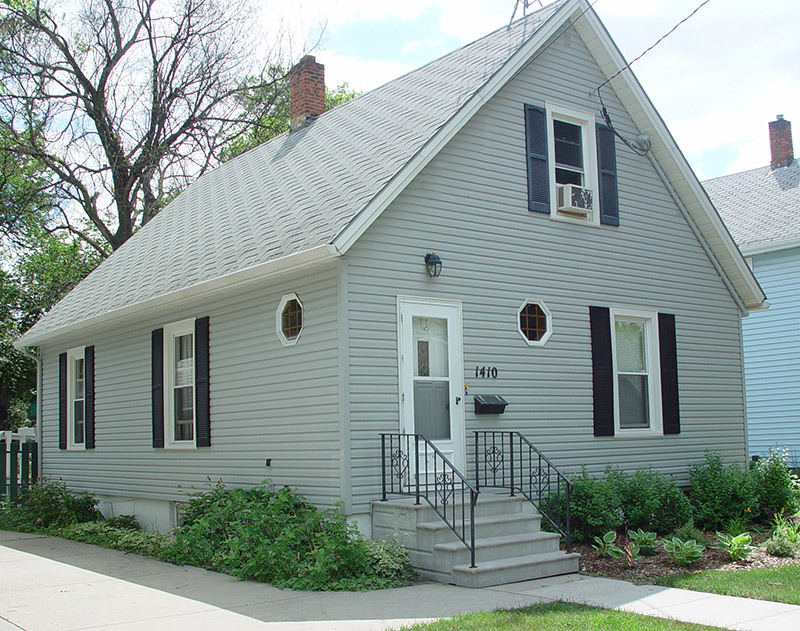 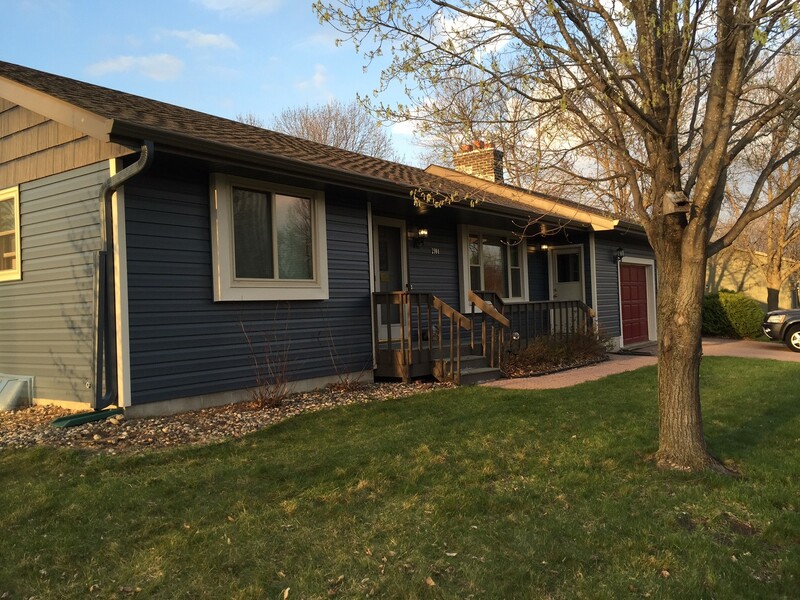 Cloud, we perform installations of more than just our seamless steel siding on homes throughout the St. 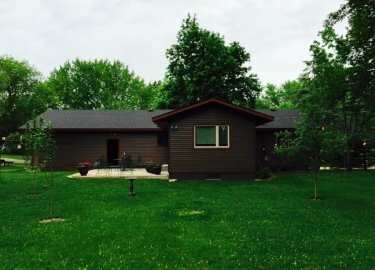 Cloud, MN, area. 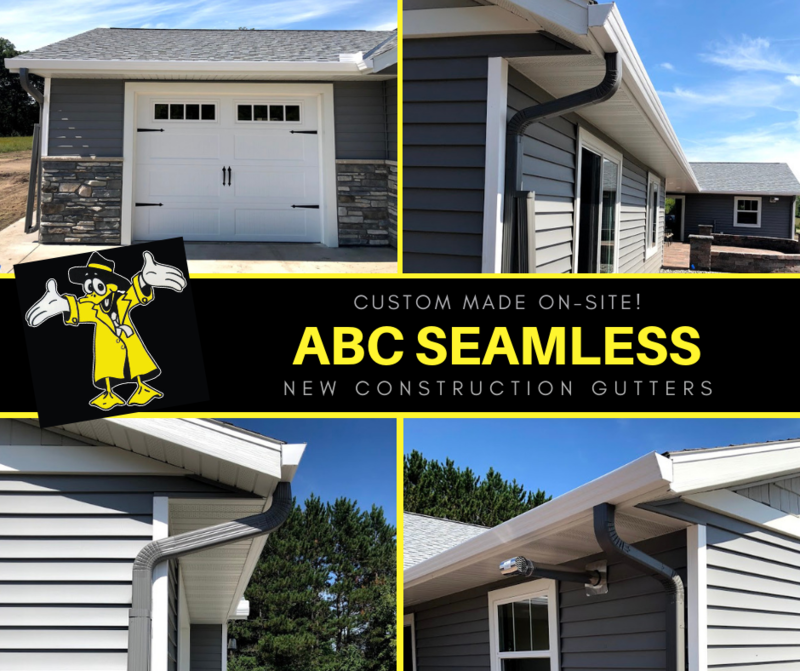 If you’re looking for new gutters, we offer seamless gutters made on site at your home with the same durable steel we use for our siding. 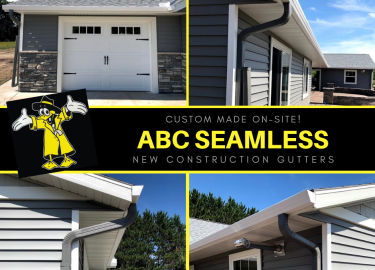 To complete your new gutter system, we can also install our Hurricane Leaf Protector™ gutter guards to keep debris from clogging your gutters. 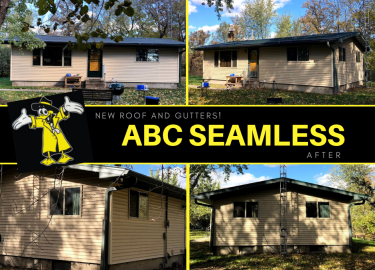 With these products in place, you’ll never have to get out a ladder and clean your gutters ever again. 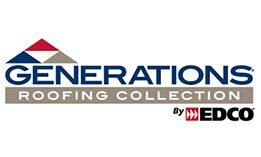 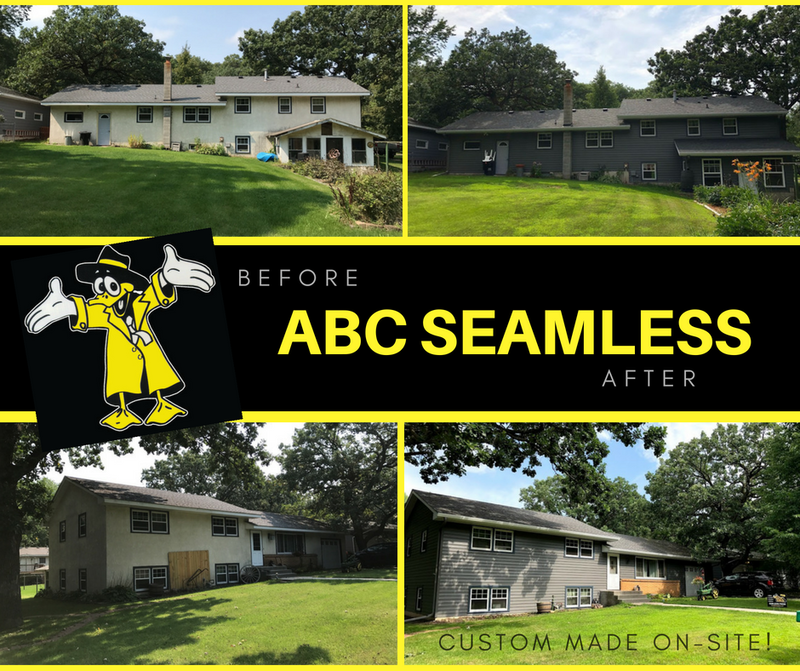 If your roof is old or has become an eyesore, you can turn to us for premium roofing materials, including our ABC Seamless roofing made from damage-resistant steel and available in designs that resemble shakes or slate roofing. 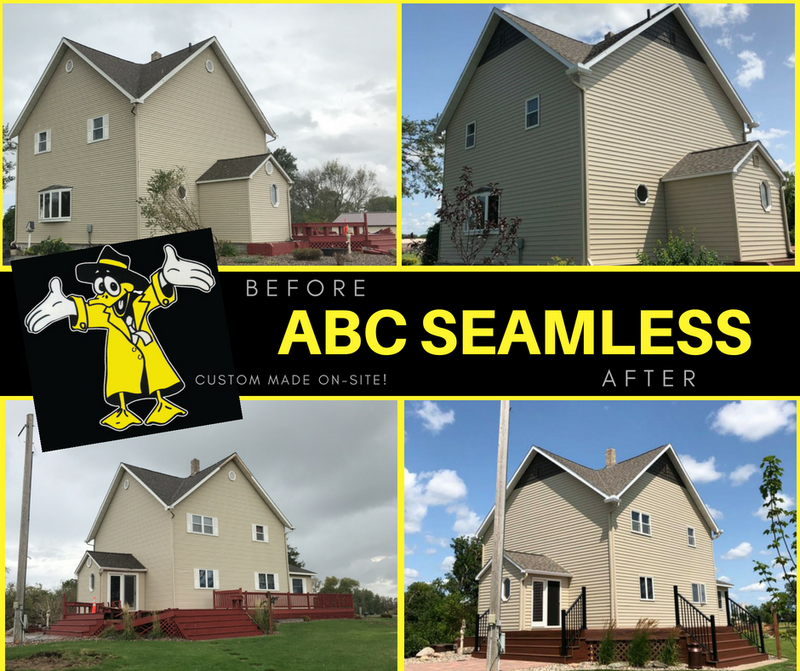 We can even help you improve your home’s energy efficiency by installing Owens Corning® AttiCat® blown-in fiberglass attic insulation that limits heat transfer into and out of your home. 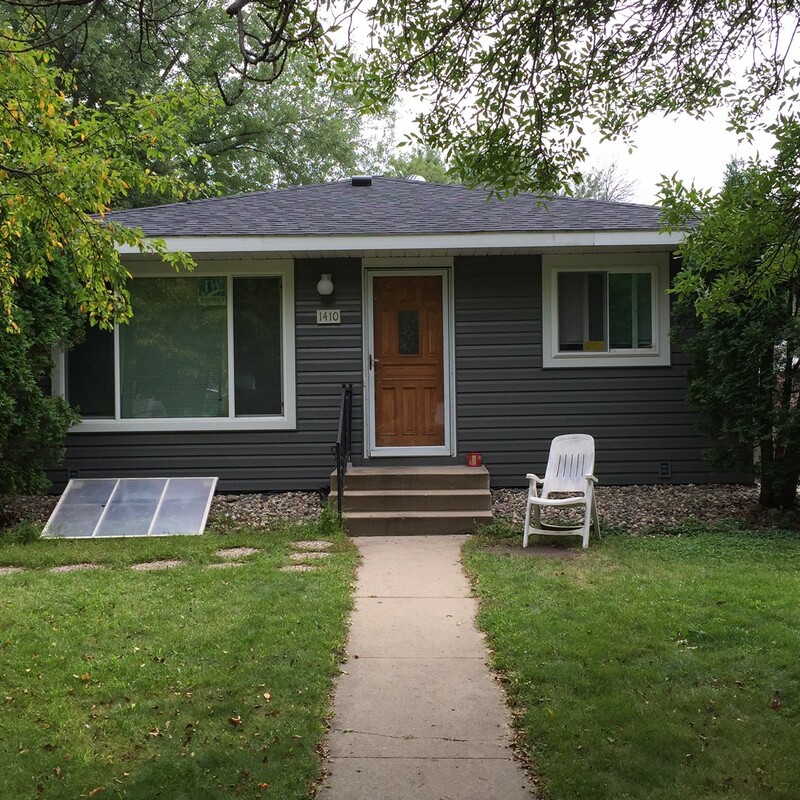 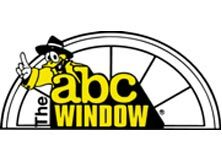 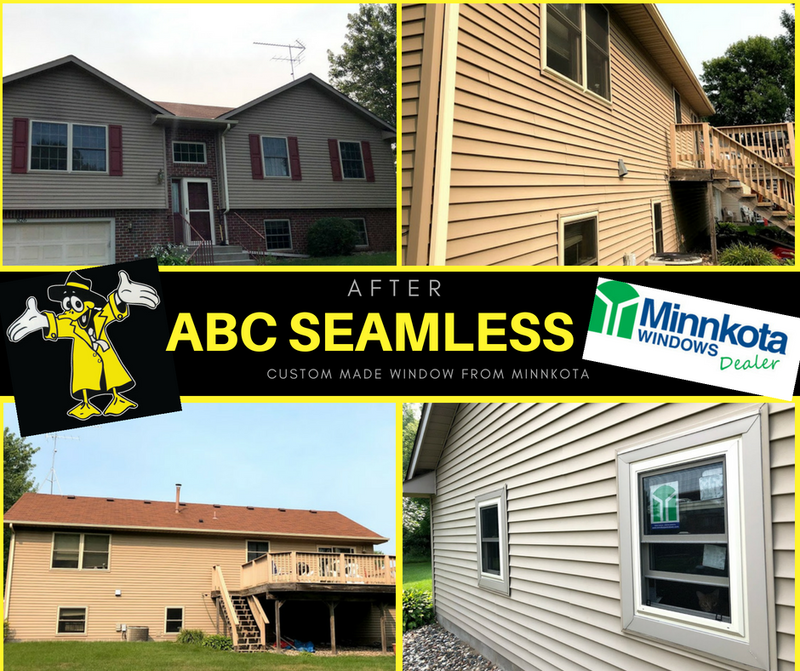 Our vinyl replacement windows can also help conserve energy, thanks to their double- or triple-paned construction, multiple layers of low-e coating, and insulating fills of argon or krypton gas. 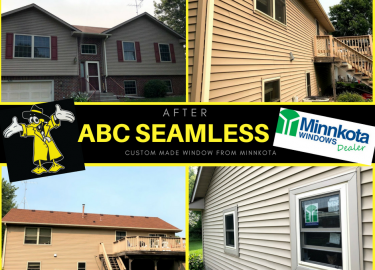 With these features, our home windows can help reduce the strain placed on your HVAC system as it tries to maintain a comfortable indoor temperature. 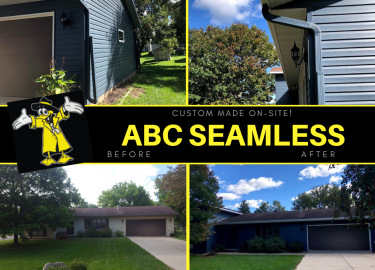 We also offer beautiful exterior doors, storm doors, and patio doors to protect your home from inclement weather and intruders while increasing curb appeal. 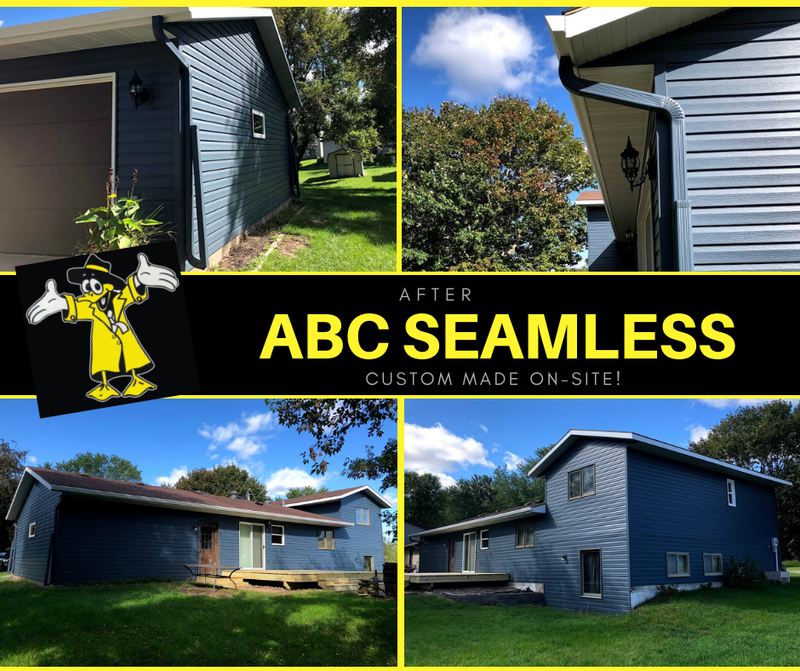 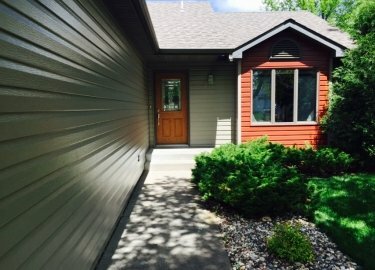 If you’d like to learn more about the steel home siding and other exterior remodeling products we offer to homeowners in St. 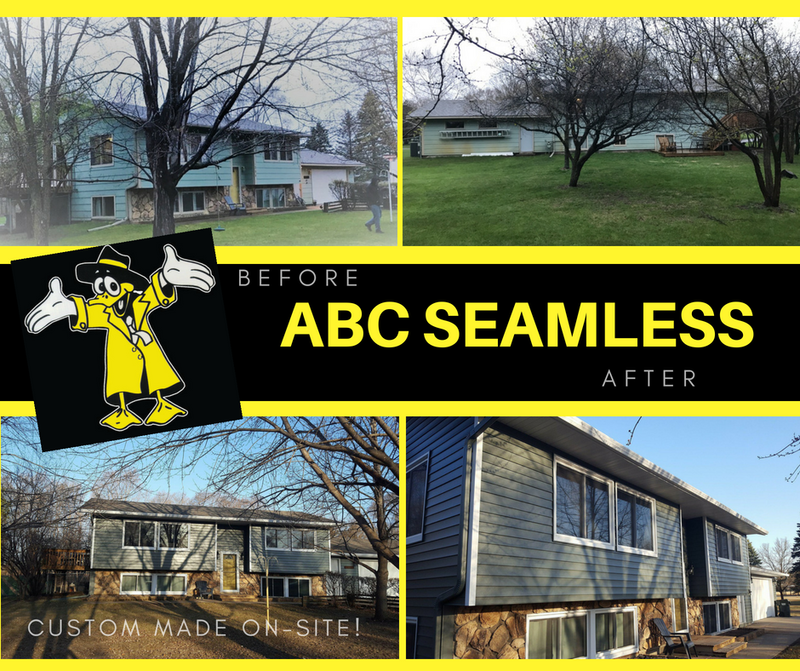 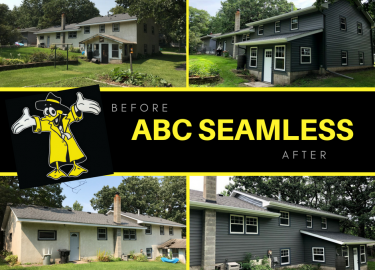 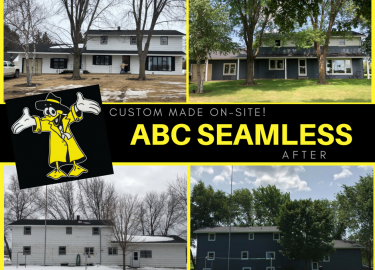 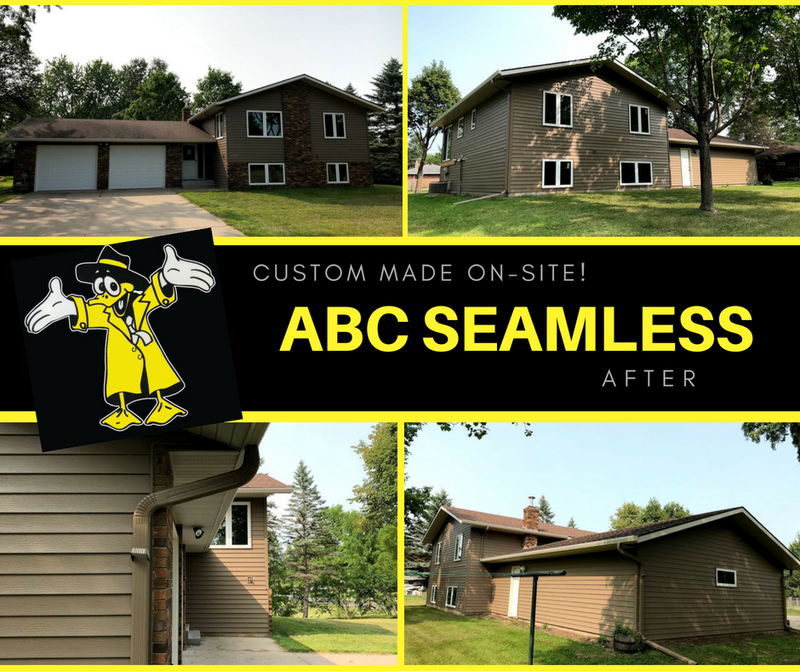 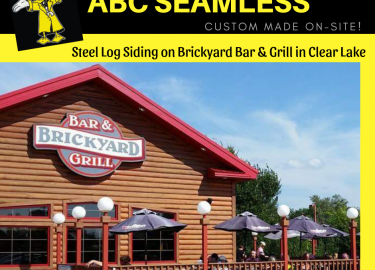 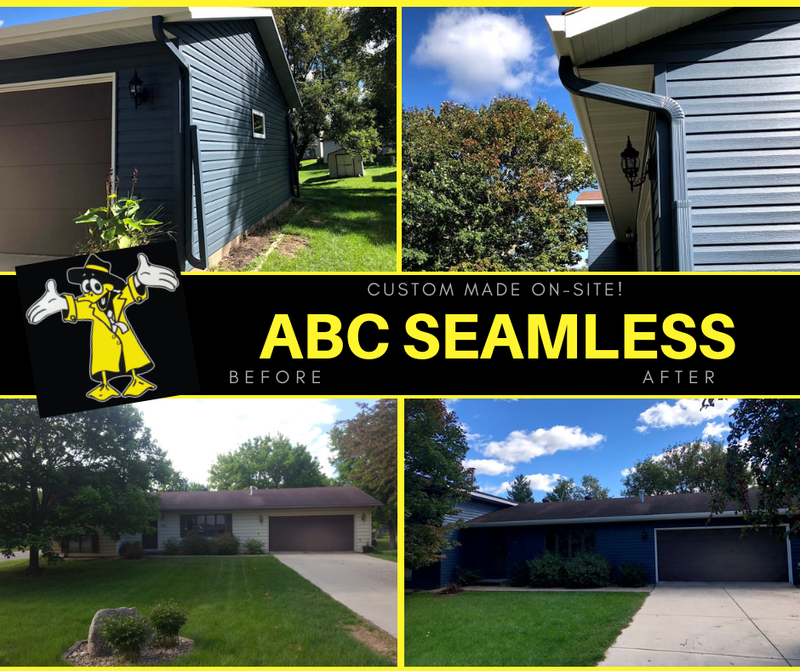 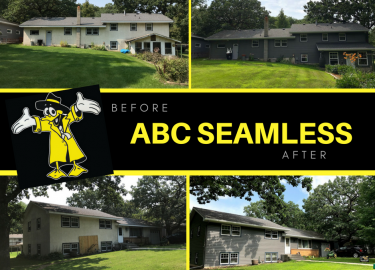 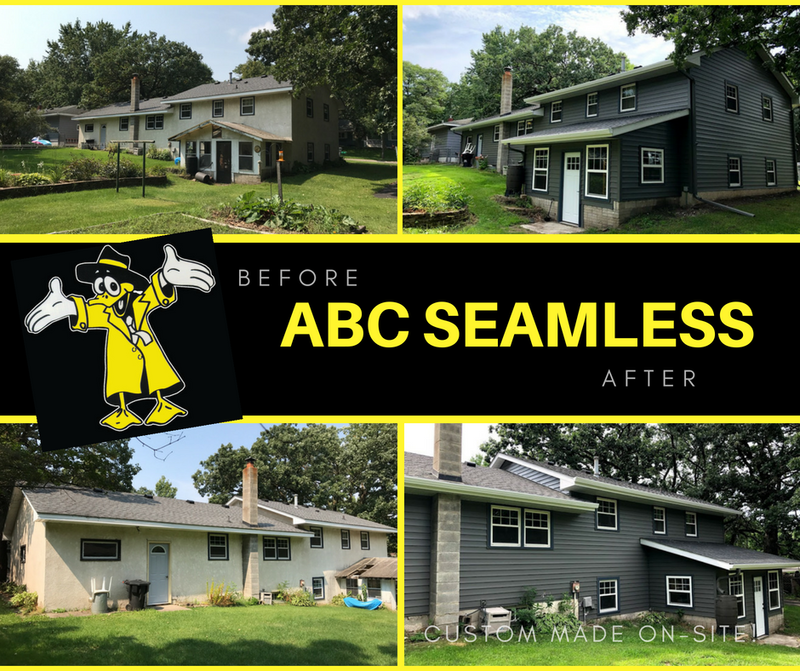 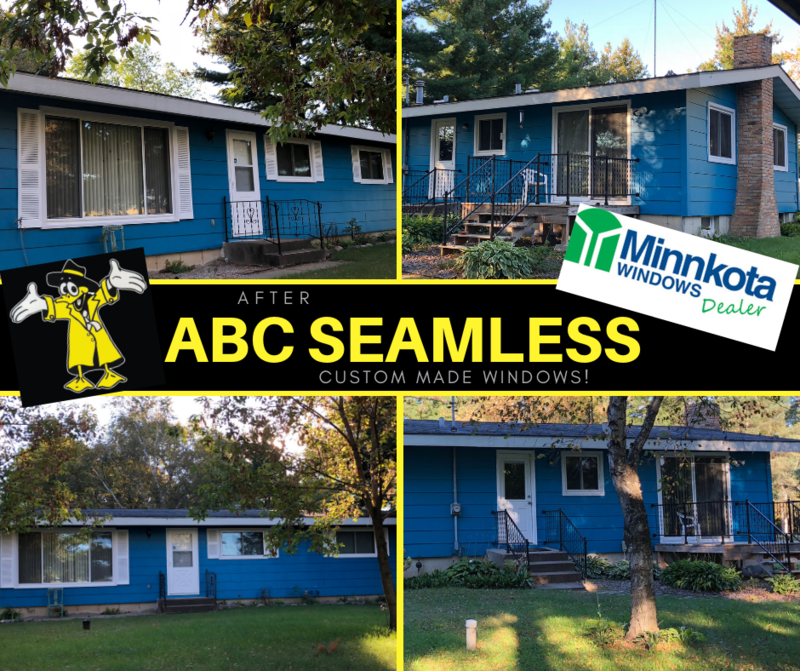 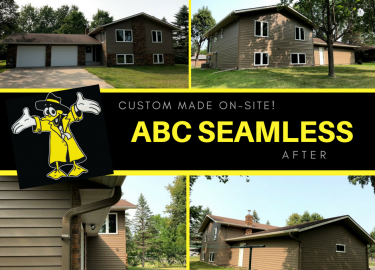 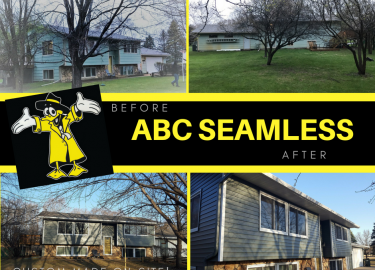 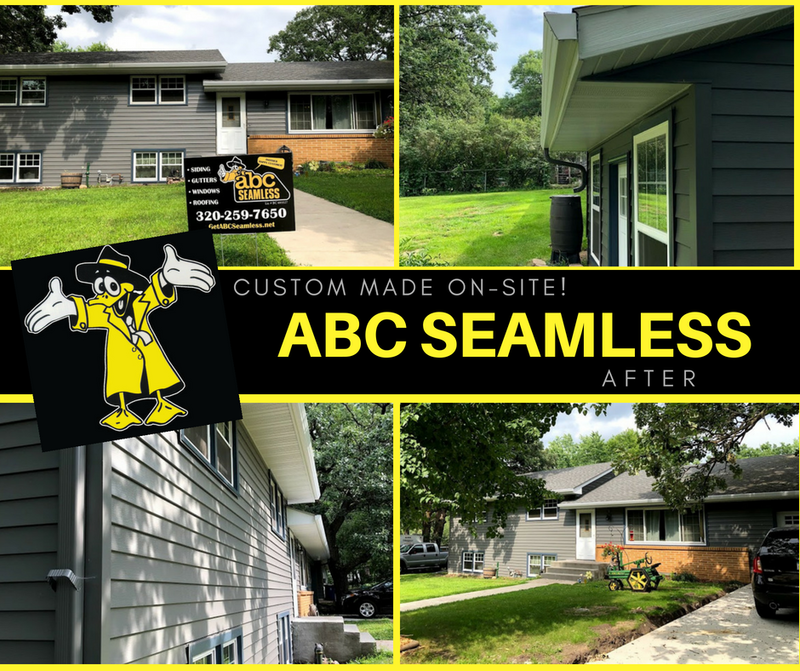 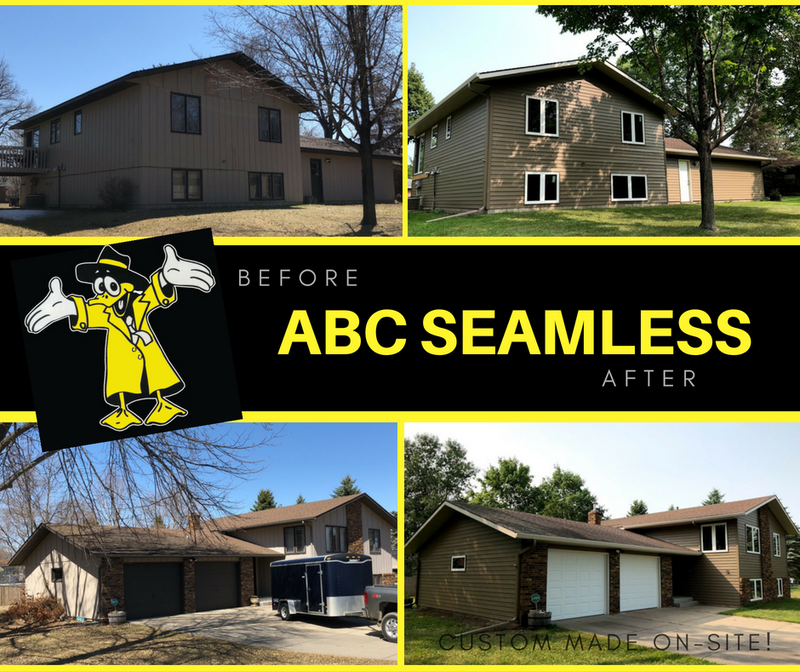 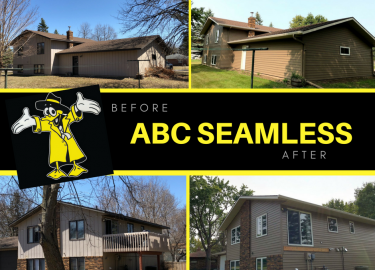 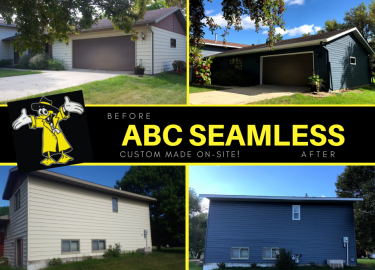 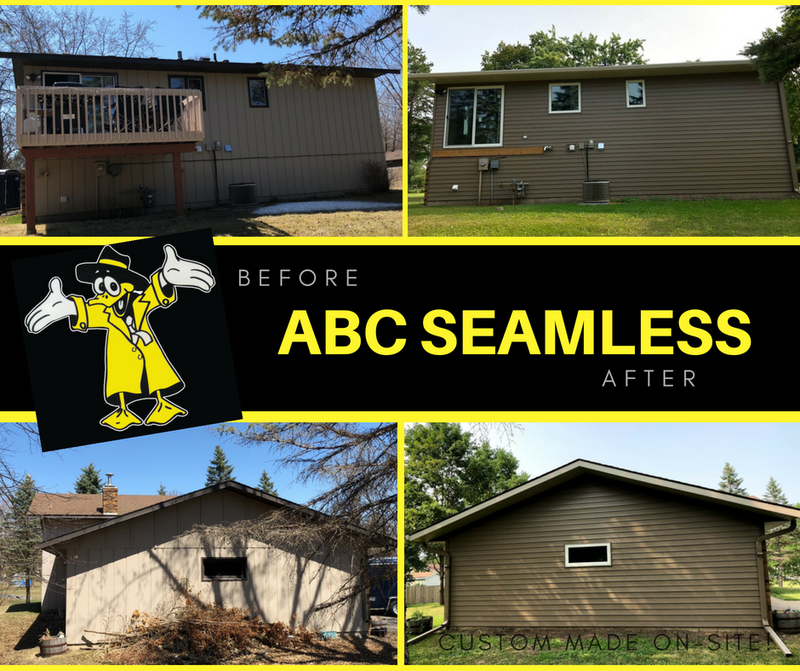 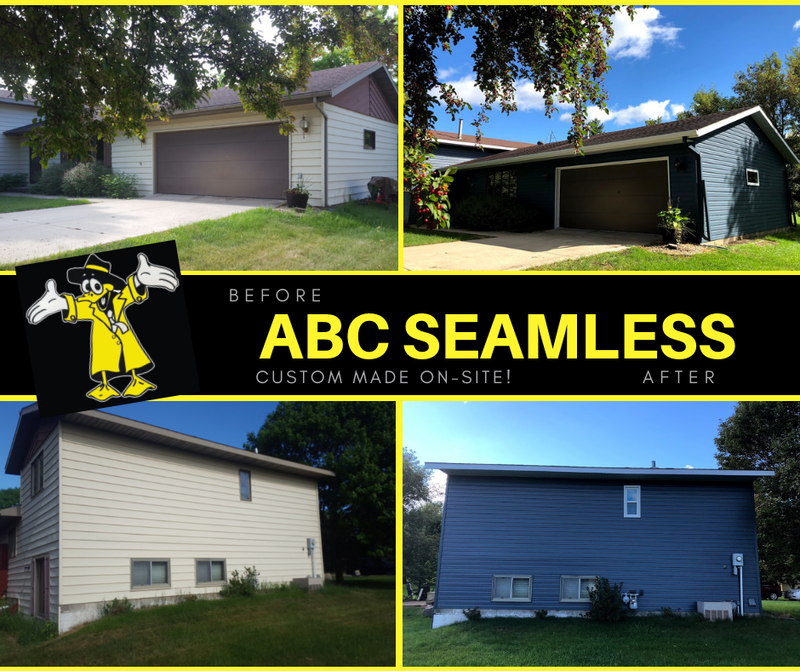 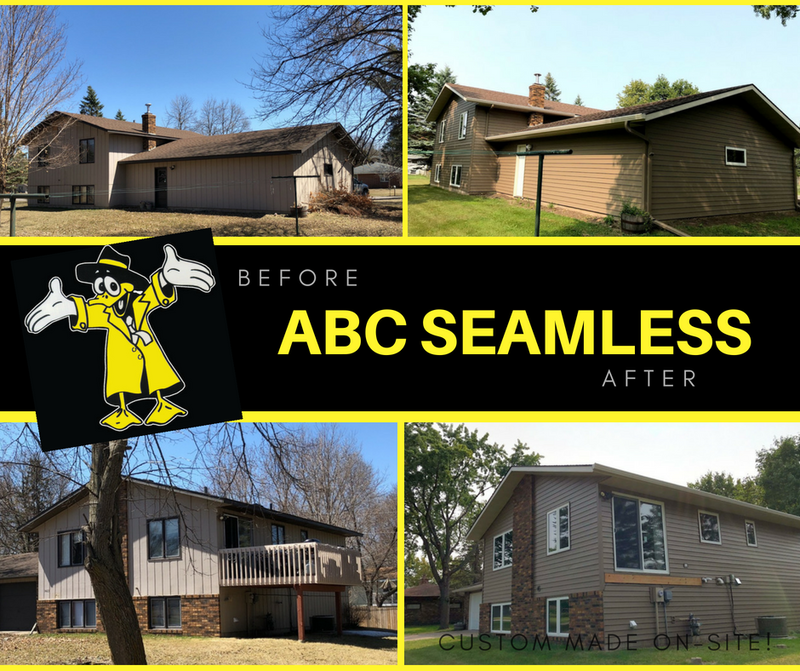 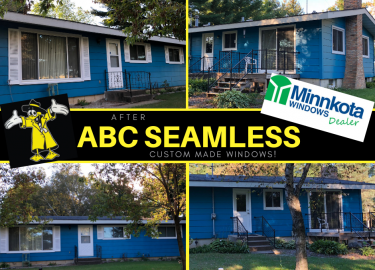 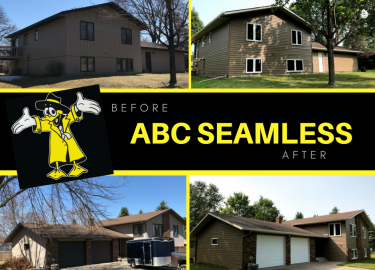 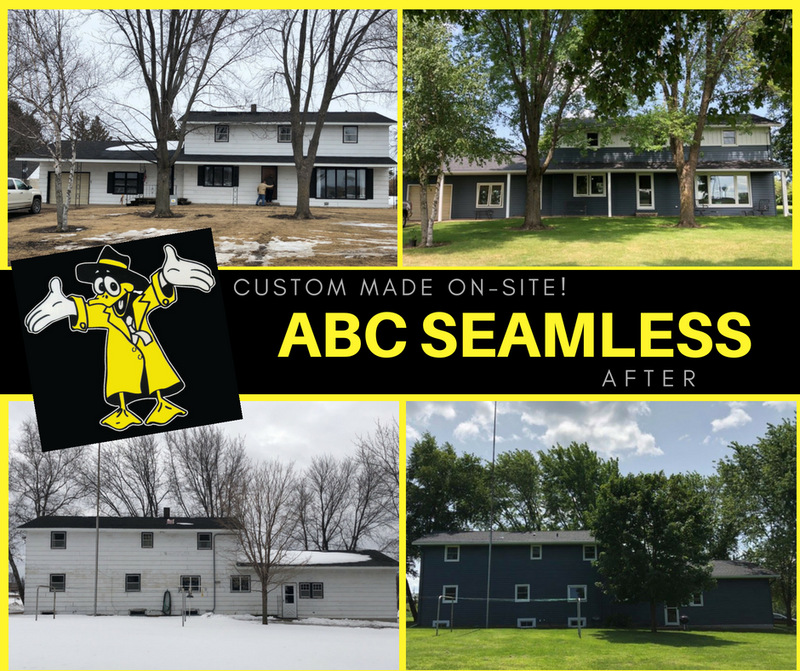 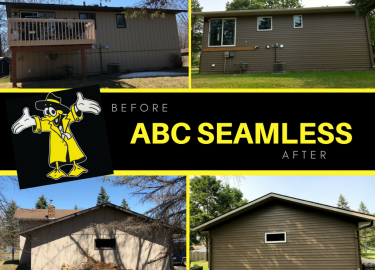 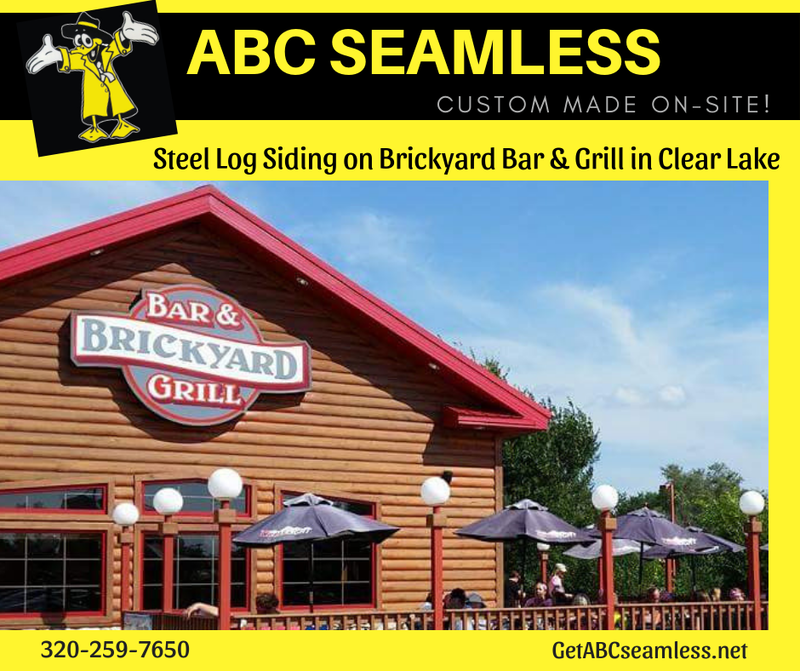 Cloud, Minnesota, and beyond, contact ABC Seamless of St. Cloud today. 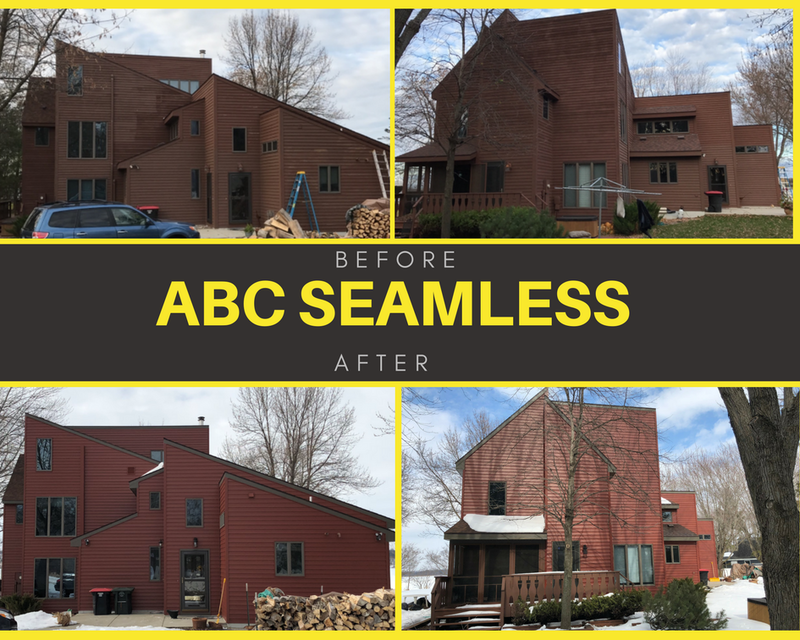 The work was exceptional. 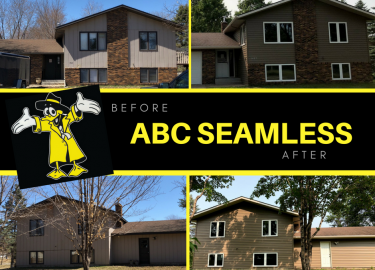 The tech was friendly and extremely communicative with what was being done. 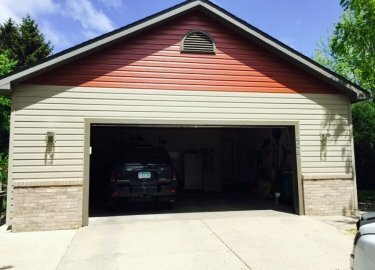 It was greatly appreciated.